Have you decided to chuck the idea of picking up the puzzle part by part? In one of our previous blog posts, we discussed extensively on why it would be a great idea to buy bundles instead of a single camera unit. This time around, we are going to elaborate on the same by reviewing 3 more great bundles that you will absolutely fall in love with – no matter how much of a photographer you are! 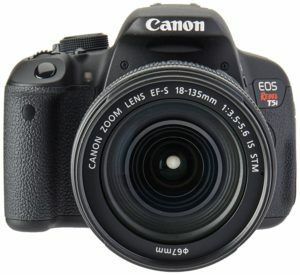 We have chosen the Canon EOS Rebel T5i as our base this time, simply because it is a great all-around performer. This bundle is perfect for those on a tight budget. 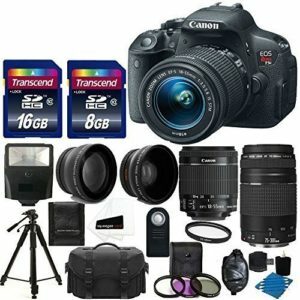 It comes with 3 different type of lenses for the passionate photographer, including an 18-55 mm lens, a wide angle lens, and a telephoto lens. You can record videos at 1080p resolution at 30 frames per second to get HD viewing experience. Moreover, this bundle comes with 3 PC filter kit. Why does this matter? 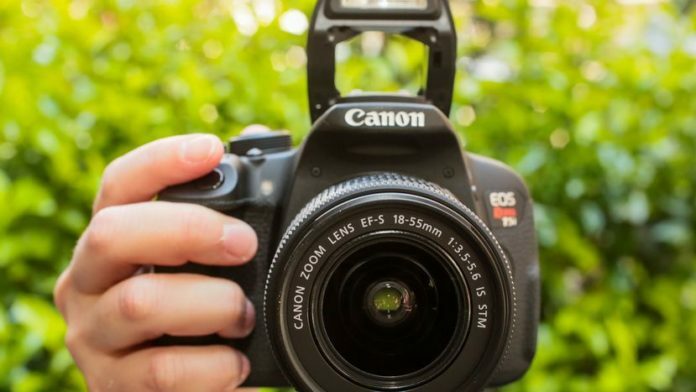 It allows you to experiment with your camera during your shoot. You will also find an extra battery that will allow you to continue with your shooting in a hassle-free way. 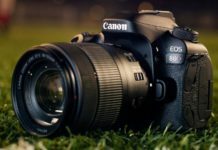 That’s not all, The tripod and remote control are additional advantages that will help you during your photography sessions. A high-speed card reader will quickly transfer all the data to your computer, saving you time. The best part is that this bundle is available at a reasonable price, so there is no point in waiting. Pros: Let’s resume from where we left off. Let’s say that you have transitioned from an amateur to a pro. A professional who knows his craft certainly needs a lot of lenses doesn’t he? This bundle offers exactly that and more! Cons: If you are not sure about the proper usage of these extra lenses, you might have a hard time utilizing the full potential bundle. Besides, a slave flash would have been the perfect finish touch, which is sadly missing. Why We Recommend: As someone who understands the art of photography and the importance of different equipment, what else can one ask for? This is the one-stop solution that we have been talking about. You shoot whatever kind of pictures you would like with such a diverse variety of lenses. Opening a new studio? Go ahead and buy this hands down! 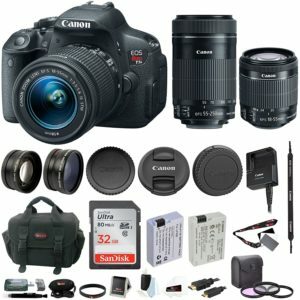 Pros: Who said that you can’t take great videos with a DSLR? It is a well-known fact that some photographers also double up as the occasional videographer. But do they really have to invest in expensive video recording hardware and software? Not with this bundle! Fully loaded with a mic, battery pack and more, this is a great buy for those who land video gigs on a regular basis. Cons: While it is a great bundle, it is not something that will sit well with professional videographers who spend day and night capturing big events. That is a different domain altogether and unfortunately, the Canon T5i simply isn’t built for that. Apart from that, there is no other disadvantage of this bundle. In fact, this is made for an amateur to experienced enthusiasts who just like to freeze mesmerizing moments that come along their way. 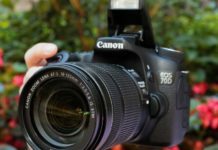 Why We Recommend: If you are having a hard time finding suitable gear to turn your DSLR into a part-time camcorder, this is as far as you will get. The bundle also solves the biggest headache all professionals face – the battery life, thanks to a powerful battery pack that is included. To top it all, it also features Image Rescue 5 that offers professional editing tools that are good enough for any occasion. We have managed to unearth bundles that are tailor-made for individuals who seek customized gear for their niches, yet they double up as great choices even for the amateur in you. If you have managed to zero in on what you would like to do, you don’t need to look further than those bundles above! 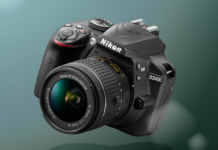 Next articleNikon D3400 Bundle Deals Are What the Entry Level Market Has Been Waiting For!